Help spread awareness of collar incidents during Collar Safety Awareness Week October 19th-25th. Dogs and pet parents everywhere will thank you! Are you only getting a mean mug from your pug? Is your Calico a no-show emotionally? Maybe your pet is trying to tell you something. 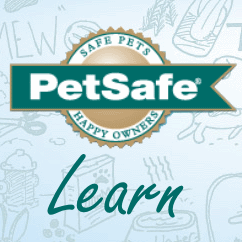 Since 2011, PetSafe® Brand has invested more than a million dollars in creating safe, off-leash areas for pets and pet owners across the United States. In 2017, we’ll help even more communities build, enhance or update dog parks. Cherry is a Vicktory dog rescued from horrific circumstances in a dog-fighting ring. Best Friends Animal Society helped rehabilitate these dogs. Cherry is now a perfect family dog who gives back by teaching young children in schools about compassion and animal rescue! For that, and the incredible journey Cherry took, we gave him the best day of his life. Watch Cherry cuddle with kittens, get a day at the beach, get treated to snacks and pampering, and even more surprises! The new Automatic Ball Launcher makes it easy for your dog to play fetch anytime and anywhere. Let your dogs chase the ball to their heart's content at home, in the yard, or at the park. Learn how one dog's tragedy led to the invention of a safety collar that has saved thousands of dogs. Announcing the 2015 Bark For Your Park Winners! Check out the top dogs in the 2015 contest to win a dog park for your community!